The legendary 1978 Lufthansa heist retold in the classic 1990 masterpiece Goodfellas is back in the news today. 80-year-old Vincent Asaro was acquitted of all charges in the case against him. He walked out of federal court in Brooklyn on Thursday a free man. The not guilty verdict came after years of Asaro hiding in the shadows and adhering to a strict Mafia code of silence. He was accused of helping to plan the infamous heist. Asaro was portrayed in court as a throwback to a bygone era, from a time when New York's five primary organized crime families made up a secret society. Its members were said to be hardened gangsters who settled their conflicts with bloodshed. The federal jury reached their verdict in the Brooklyn racketeering trial after a little more than two days of deliberations. The verdict left those in attendance stunned. About his character, Assistant U.S. Attorney Alicyn Cooley had this to say in her closing arguments against the man. "[Asaro] was born into that life and he fully embraced it. [His devotion to his crime family] was as permanent as the 'death before dishonor' tattoo on his arm." Vincent Asaro's father and grandfather were members of the very secretive Bonanno crime family. The defense team for Asaro accused the prosecutors of paying co-operators. This team working against Vincent is said to have included his own cousin, Gaspare Valenti. Valenti is said to have been promised a shorter prison term in return for his testimony. Some of the witnesses speaking out against Asaro were called 'despicable people' and 'accomplished liars' by defense lawyer Elizabeth Macedoni. Vincent Asaro's personal story was told by prosecutors during the trial. The mobster is said to have risen through the ranks fast, and even developed what was called an 'unbreakable bond' with the legendary James "Jimmy the Gent" Burke. Burke is the late Lucchese crime family associate responsible for the Lufthansa cargo terminal holdup at Kennedy Airport. Asaro's cousin, Gaspare Valenti, testified last month that Asaro and Burke had killed a suspected informant. They used a dog chain to choke the man to death, and then Valenti was ordered to help bury the body. This all went down in 1969. Valenti also insisted that he was drafted by his cousin for the Lufthansa heist. During the trial, he stated that Jimmy Burke had a big score at the airport, and that he was invited to go. When Asaro learned that the score included mountains of $100 bills and jewels taken from the Lufthansa vault, Valenti insists that his cousin was 'very happy' and even 'euphoric'. The holdup team believed that there would only be $2 million in cash. But the heist pulled in more than $6 million. The aftermath of the heist involved a bloodbath that was portrayed in the movie Goodfellas. It was an onslaught that Asaro survived. 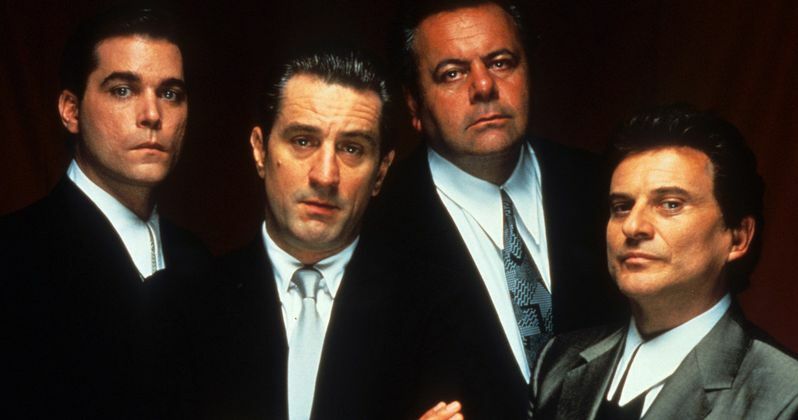 In the Martin Scorsese classic, Robert De Niro goes ballistic over his fellow mobsters' lavish purchases, which included expensive cars and furs. Fearing the attention of law enforcement, Robert De Niro's James Conway has them all whacked. In real-life, prosecutors claim that Asaro made off with at least $500,000 from the score. The money couldn't be accounted for, because Vincent had a gambling problem and blew all of it at the racetrack. The jurors were played tapes made by Asaro's cousin, where the accused mobster was heard in a profanity-laced rant screaming about how 'Jimmy the Gent' never paid any of his men the right amount of money. Vincent also claimed that he was the only wise guy left in his neighborhood. The recordings were not enough to sway the jury. Walking out of the courthouse on Cadman Plaza in Downtown Brooklyn, Vincent Asaro raised his hands in the air and shouted, "Free!"